The fuboTV live television streaming service allows cord-cutters to watch live sports and television shows without a cable or satellite subscription. To watch live television with fuboTV, you need a high speed internet connection and a compatible device like a computer, smart television, tablet, or a smartphone. The main difference between fuboTV and cable television is that fuboTV cuts out a lot of the fluff in favor of focusing on sports. 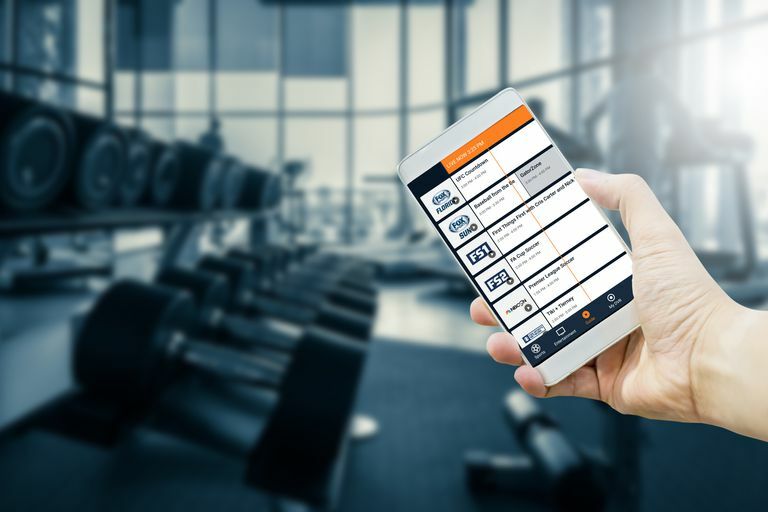 While fuboTV does include local channels, if you live in a participating market, and a number of basic cable channels, the main focus is sports. So if you pay for cable just to watch sports, fuboTV may be the streaming service that you're looking for. Try it out: Sign up for a free trial of fuboTV now! In addition to offering an alternative to traditional cable television, fuboTV also has a number of direct competitors that also offer live television online. Sling TV, Vue, Youtube TV, and DirecTV Now all offer a variety of local, basic, and premium channels that you can watch live online. CBS All Access is another similar service, but it only carries content from CBS. Sling TV is probably fuboTV's closest competitor in terms of live sports, but fuboTV carries a number of channels that aren't available from most other online television streaming services. Other streaming services, like Amazon Prime Video and Netflix, also offer on demand video content, but they don't offer the kind of live sports and television that you can watch on a service like fuboTV. Signing up for fuboTV is a pretty easy process, and it even includes a free trial period. You have to give them your credit card number and billing details to sign up, but you won't actually be charged until the trial period ends. Navigate to fubo.tv, and click on start free trial. Enter your email and click sign up. Enter your name, choose a password, and click select package. Review the options, and click go to next step. Select any ad-ons that you want, and click continue to last step. Enter your credit card information, and click start watching fuboTV. You can also choose to sign up with your Facebook or Google account. Note: You can change your ad-ons later if you change your mind. Some TV streaming services offer a lot of different plans, but fuboTV keeps it pretty simple. There are only three plans, and they're based around language. fubo Premier: includes 65+ English language channels, including sports networks like NBCSN and FS1, regional sports networks, and cable networks like A&E, Bravo, and FX. fubo Latino: includes 10+ Spanish language channels, including sports like Fox Deportes, and cable networks like Univision and Nat Geo Mundo. fubo Português: includes 5+ Portuguese language channels, including Benfica TV, RTP International, and GOL TV. fubo Premier include far more channels the other plans, but fubo Latino and fubo Português offer Spanish and Portuguese language sports content that most online streaming services don't have at all. Like most other online television streaming services, fuboTV offers local channels in areas where the services has contracted with local affiliates. Depending on the media market you live in, fuboTV may offer local CBS, Fox, NBC, or even Telemundo channels. For a full list of the cities where local channels are available, see fuboTV's Help Center. If you live in a media market where fuboTV doesn't offer local channels, you'll still have access to on demand content. How Many Shows Can You Watch at Once on fuboTV? There isn't a limit on the number of shows you can watch at once with fuboTV, but there is a limit on how many devices can use the service from the same account at any given time. That essentially limits the number of shows you can watch as well, but you can pay an additional fee to bump the limit up. How Fast Does Your Internet Need to Be to Watch fuboTV? To achieve the best video quality, and reduce the likelihood of buffering or stuttering, fuboTV recommends a minimum internet download speed of 20 Mbps. In addition to the three main subscription options, fuboTV offers a number of add-on packages. In fact, if you subscribe to the fubo Premier package, you can even add the channels from the Spanish or Portuguese subscriptions to your lineup for an additional monthly fee. Most of the add-on packages are sports focused. For instance, the International Sports Plus package adds channels like Fox Soccer Plus and the English and Spanish language versions of GOL TV. Another sports-themed add-on package brings over a dozen more channels, including regional PAC12 channels, NFL Red Zone, and Fox College Sports. Outside of sports, there are also packages that add outdoors-themed channels, kids channels, and even a package of Showtime channels. Other add-ons include increased DVR capacity and an option to watch more shows, on more devices, at once. There are a few different ways to watch live shows and sports on fuboTV. Click on the type of sport that you want to watch. Look through the list of games to find one that you want to watch. Scroll through the guide to find a live program you want to watch. Click on the name of the program. Locate a show you want to watch. By default, fuboTV comes with a digital video recorder (DVR) that you can use to record live sports and other shows. It's pretty easy to use, but it does have a limited capacity. If you want to record more games than the DVR allows, there is an option to pay for increased DVR storage. Click on the sport you want to record. Locate the game you want to record. Does fuboTV Offer On-Demand Content? In addition to live television shows and sports, fuboTV also offers on-demand content that you can watch any time you like. If you live in an area where fuboTV isn't able to provide you with live local channels, you'll still have access to on-demand content from CBS, FOX, NBC, and most of the cable channels that the service carries. Can You Rent Movies From fuboTV? Some online television streaming services offer movie rentals, but fuboTV doesn't. The service does include a lot of on-demand movies that you can watch for free, and many of the live streaming channels play movies as well, but there is no option to rent newer movies. In addition to the on-demand movies that fuboTV includes by default, you also have the option to add Showtime to your subscription, which adds even more movies. If the sports content offered by fuboTV is just what you're looking for, but you also like to rent movies online from time to some, you're better off using a standalone service like Amazon or Vudu for the rentals.